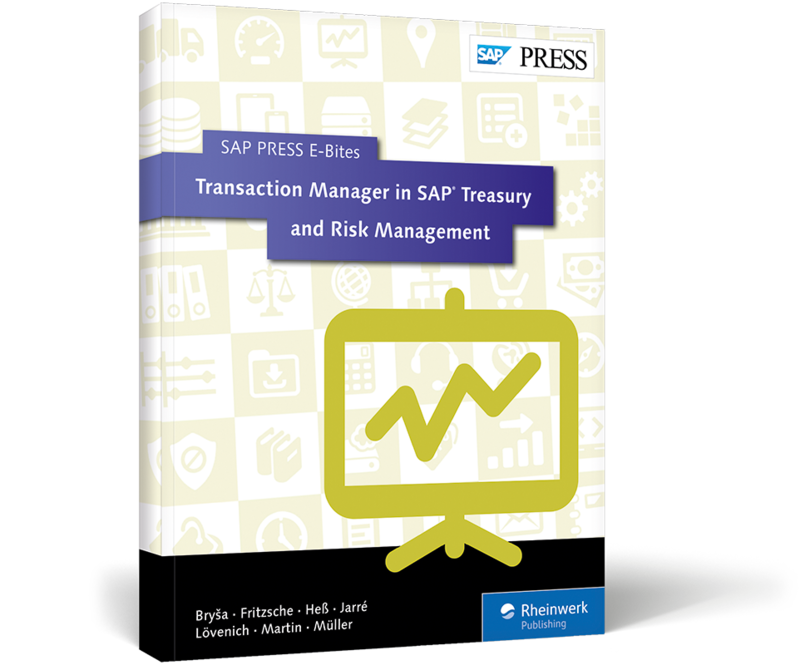 Manage financial transactions and positions with Transaction Manager! 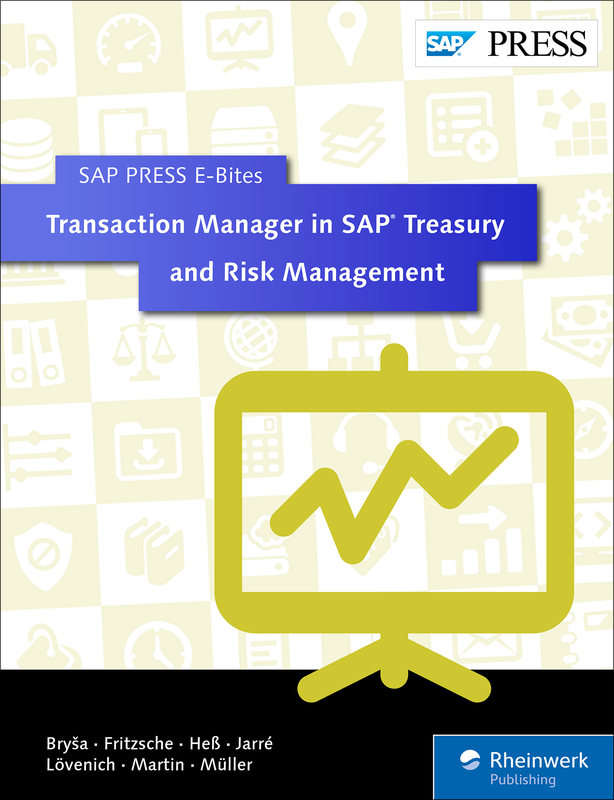 Get a deeper understanding of SAP Treasury and Risk Management's Transaction Manager in this E-Bite. Learn how different financial instruments are mapped as financial transactions. 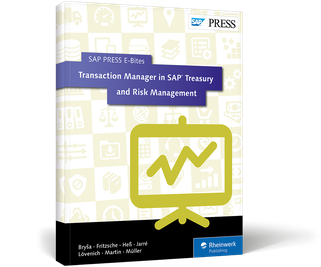 Examine transaction management subareas like trading, back-office processing, and operative reporting. 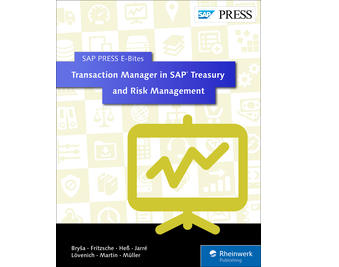 Use sample implementation scenarios to better grasp transaction management architecture. Understand transaction management like never before! Rudolf Bryša, Ph.D., studied financials and computer science at Masarykova Univerzita, Brünn, Czech Repulic, and at Georg August University in Göttingen, Germany. Thomas Fritzsche studied mathematics at Bergische Universität in Wuppertal, Germany. After receiving his degree in mathematics, he started working at SAP AG's SAP Treasury and Risk Management development department in 2002. He initially started in the business management area and processing of financial products, and then transferred to SAP Japan in Tokyo for more than three years. Dr. Markus Heß studied physics at Ruprecht Karls University in Heidelberg, Germany. After completing his doctorate work at the Max Planck Institute for Nuclear Physics, he was awarded his PhD by the Heidelberg University in 1998. In the very same year, he started his professional career at SAP AG. Sönke Jarré trained as a banker before going on to study computer science at the University of Bremen, Germany. Dr. Reinhold Lövenich studied physics at RWTH Aachen and Jülich Research Center. He was awarded a Ph.D.
Dr. Andreas Martin studied mathematics at the University of Kaiserslautern, Germany and the University of Warwick, England, and was awarded his doctorate degree by the Ludwig-Maximilians-Universität in Munich, Germany. Dr. Klaus G. Müller studied physics at the University of Bonn, Germany and the Max Planck Institute for Polymer Research in Mainz, Germany.